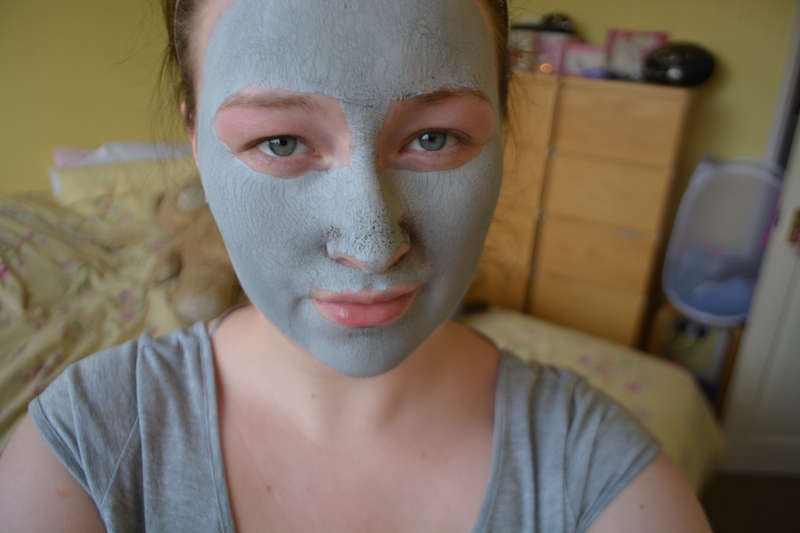 The other day my Mum bought me this face mask so after spending all day doing nothing I obviously deserved a little pampering session, obviously. The mask itself is quite creamy and to avoid having black bits of face mask under my nails I put it on with your regular pointed foundation brush. It has salicylic acid in which is great for getting rid/preventing pesky spots but its not drying at all which is great for me! It also didn’t sting at all which is great because I have super sensitive skin so a lot of face masks tend to irritate it, but not this one! It has a nice clean smell which I love and it comes in a 75ml tube which is great and I could probably get another three or four masks out of it! Shall I just add “which is great” in here one more time? As you can see it dries grey so that you know when to take it off. I could see darker speckles where the mask had penetrated my pores so Avon aren’t lying when they claim it does that. It was super easy to take off, just using my trusty hands, a flannel and some warm water! After my skin felt firmer, so soft and so super clean! The best part about this mask is the price. £2.50!!! LIKE WHAT?! Big up to Avon for that one. If you have tried it let me know what you think in the comments and I will speak to you next time (probably tomorrow), goodbye for now little buns! Hey I love the review on the face mask, I will defiantly try this one because I’ve been looking for a good mask like that that doesn’t cost loads!